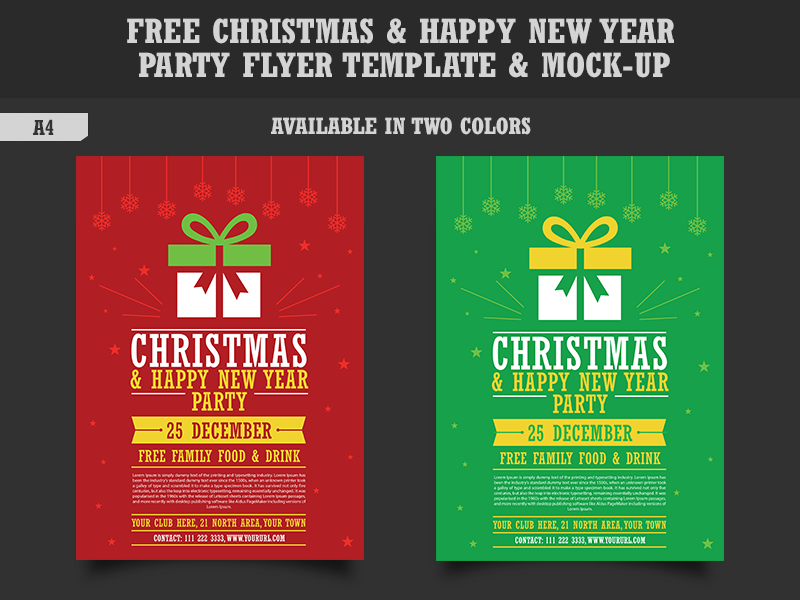 I am very excited to share all the designers the Free Christmas & Happy New Year Party Flyer Template & Mock-up. The Christmas & Happy New Year Party Flyer Template is designed in Illustrator CS6 and the mock-up is designed in Photoshop CS6. This is one of the finest Christmas Flyer template for your Christmas Party & events. The vector format of this Flyer allow you to change the colors, edit the text and make changes in all template according to your requirement. You can also use the Christmas Elements in this flyer template as a Christmas Icons. The free fonts are used in this flyer template design.